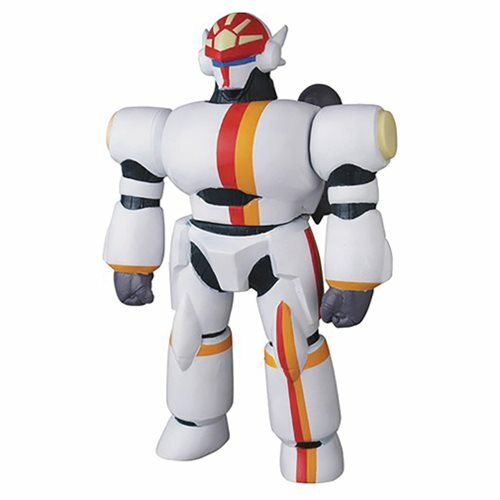 From the classic anime comes the Machine Arms RX-7 Noriko Sofubi Vinyl Figure! The RX-7 is a training robot piloted by Noriko Takaya in the 1988 OVA Gunbuster and now is available as a sofubi! This Machine Arms RX-7 Noriko Sofubi Vinyl Figure comes with miniature starship Luxion and stands about 11 1/2-inches tall.